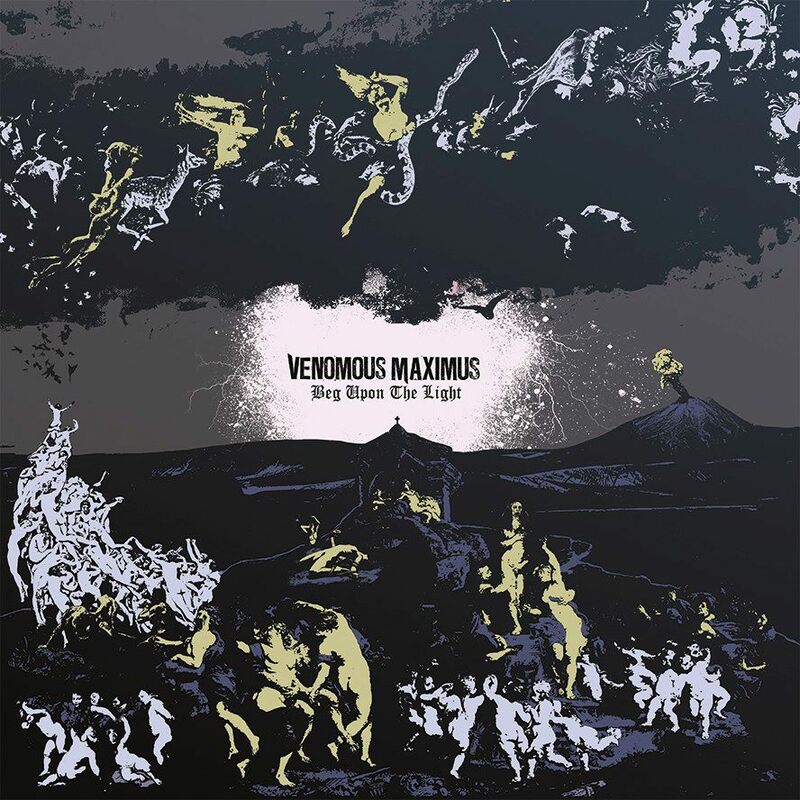 I had seen Venomous Maximus at least 6 or 7 times before finally putting ears to any of their studio work. They are always a treat live. Super solid, energetic and G. Lee Higgins is the right person to front this band that calls Houston, TX its home. A few weeks back at a show I bought their latest release, Beg Upon the Light. It took me almost 2 weeks to finally get around to listening to it and now I feel like I have wasted 2 weeks! I had to drive to Houston and back this week (2.5 hours each way) and listened to this 3 times on the drive. Oh my! This album is very well-produced. I guess they are considered “stoner/doom” metal. I hear so much more classic metal sounds that came from Metal Blade and other classic labels. I hear elements of Tyrant, Damien Thorne, Mercyful Fate, Black Sabbath and Cirith Ungol. Higgins’ voice may take some time for folks to get used to. I, for one, think they’re perfect for the band. There’s no death growl that is so rampant in the stoner/doom genre these days. His voice is clean and clear and typically lower than most metal singers today. Think King Diamond’s low vocals with Mercyful Fate with a little more “umph” behind them or maybe even those from early Moonspell (Wolfheart). He has a really good sorrowful wail to his style. The rest of band is spot on with their delivery. I especially like Christian’s solos (I always want more solos!). His solo intro on Path of Doom is such a beautiful nod to Mercyful Fate. Bongo and Trevi round out the rhythm section perfectly. Favorite tracks would be Path of Doom, Battle for the Cross, Hell’s Heroes and Moonchild. I highly recommend this album and so far I’d call it my favorite album of 2012. 10/10. Go see them live! You can stream the whole album here. Find them on Facebook, too.